In our first exploration, we'll be looking at the power of story: It's power to divide us, and to unite us. 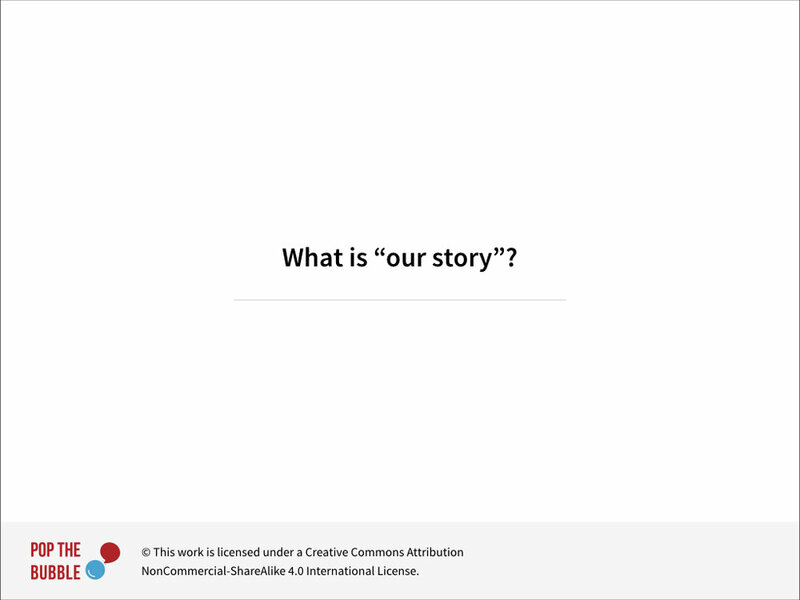 Let's start with a question: What is our "story"? What do you think that means? Think how powerfully each of these has helped formed you. Think how different you’d be if you changed almost any one of them: your race, your ethnicity, your religion, your culture! Our experiences help shape how we view the world and our role within it. They influence how and what we think, what we value, what we like, what we don’t like, what’s right, what’s wrong, who we associate with, who we don’t. Most fundamentally, they teach us important lessons about who we are, why we’re here, and what we need to do to belong/survive/be loved. One reason our experiences are so powerful is that they're actually etched into our brain as physical neural patterns. Here's a short video of Dr. Dan Siegel explaining just a little more about how this works. 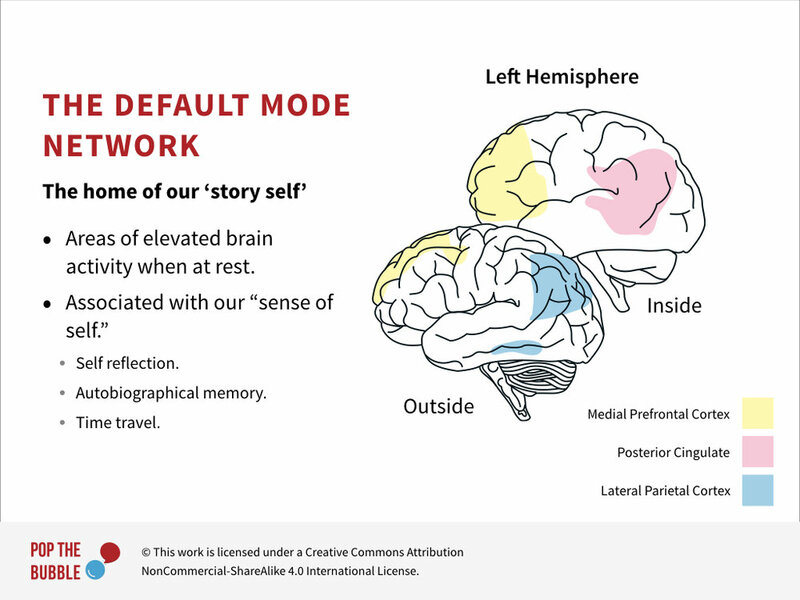 In fact, researchers have even identified a specific set of regions in our brain that give rise to our ‘story self.’ It’s called the Default Mode Network. It's the areas highlighted here in color. It's called the Default Mode Network because it's most active when we're at rest and engaged in self-reflection, autobiographical memory and mental time travel. In other words, it's active when we're thinking about our ‘self’ — our day, our life, what happened, why, what we did or didn't do, what's coming up in the future, etc. Now, why am I going into all this? Because understanding our ‘story self’ is the key to understanding not only what makes difficult conversations difficult, but also how we can move through the difficulty to find resolution. 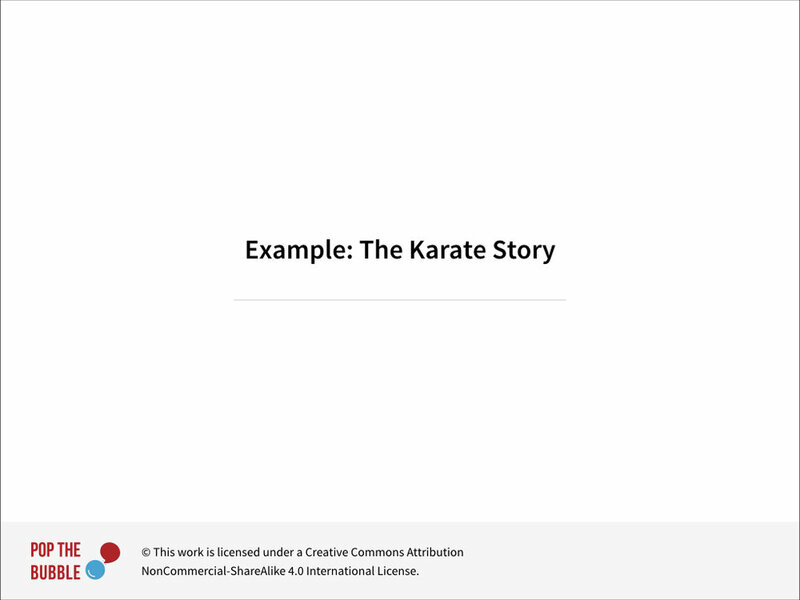 Let’s start with the role our story self plays in creating difficult conversations. We’ll start with something called The Backfire Effect. To understand the Backfire Effect, a neuroscientist at USC offered this helpful analogy. He compared our sense of self — our story self — to that of a house. In a house, everything is related or connected to everything else, and that’s exactly how information is stored in our brain. So once you incorporate a belief or value into your worldview, changing it may not be easy, especially if it’s a "core" belief or value. In that case, changing your mind would be like removing one of your house's load-bearing walls, risking that the whole structure might collapse. Now you need an architect to help you redesign the entire house! This is not something we’re typically eager to do. This is what leads to the Backfire Effect. If new information conflicts with our core beliefs or threatens our "story self," we go into a defensive mode and become even more entrenched in our convictions rather than less. The new information “backfires.” This is especially true for beliefs and values we share with other people in our community. If changing my beliefs and values puts me at odds with my friends, family, etc., then I'm at risk of losing those relationships, and I may not think it's worth it. In the TEDx talk we watched, that's the price Megan paid for her transformation. That's why it's important, and rational, to have compassion for people who refuse to change their mind even in the face of what to us might seem like overwhelming evidence. 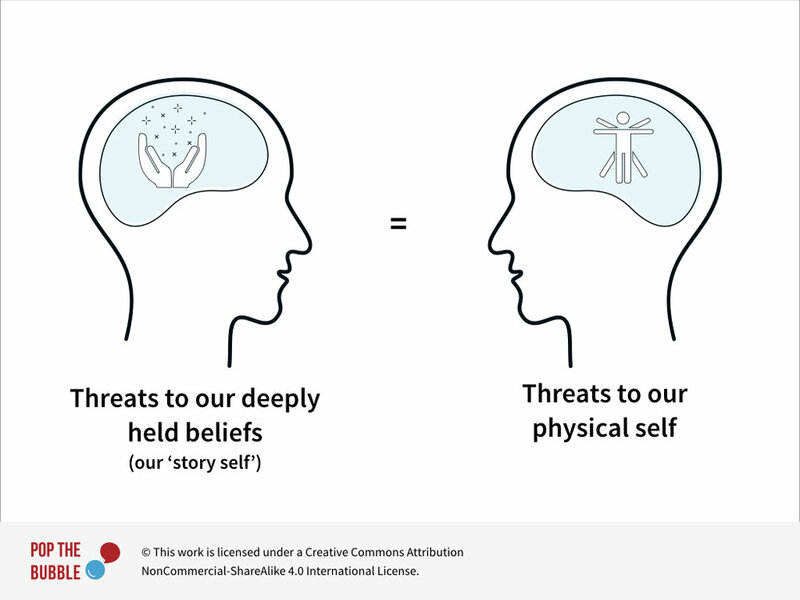 Brain scans reveal that threats to our deeply held beliefs — our story self — activate the same parts of our brain as threats to our physical self. The amygdala is an almond-shaped set of neurons tucked inside our lower brain. It’s associated with fear and strong emotion. It’s connected to our prefrontal cortex, which is associated with self-awareness, reflection, concentration and decision-making, among other things. Ideally there’s a strong neural connection between these two parts of our brain: The amygdala signals threats to our safety, and the prefrontal cortex determines if the threat is real, and moderates our response accordingly. Unfortunately, fear, anger and other kinds of stress can weaken the amygdala-neocortex connection, leaving us almost completely under the control of our amygdala’s raging emotions. This is the “amygdala hijack,” or what the psychiatrist Dr. Siegel more colloquially calls "flipping our lid." Let’s look at a short video of Dr. Siegel describing what happens. "Road rage" is one example of an amygdala hijack in action. There can be more subtle forms too. Has anyone ever sent an email in anger that they later regretted? That's another example of what we're talking about. What's important to make clear is that being in the midst of an amygdala hijack is a very dangerous place to be. Let's look at why. 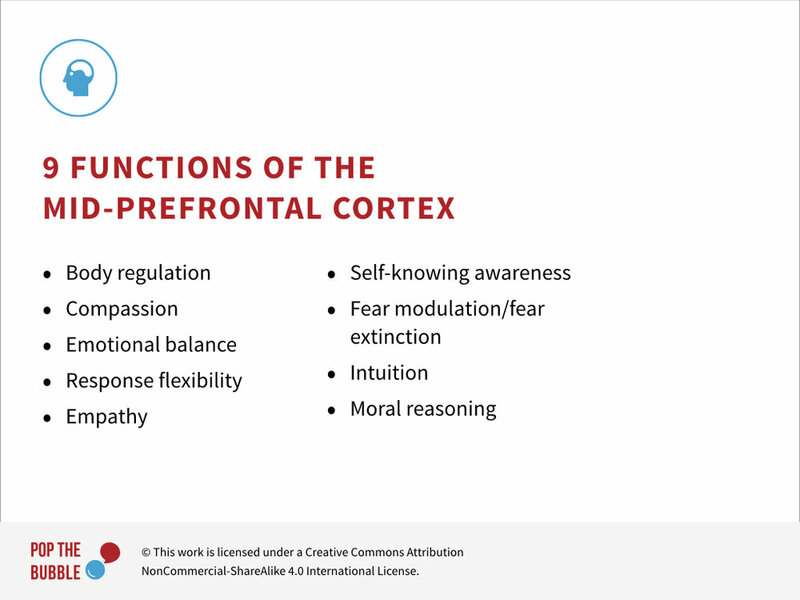 Here are nine critical functions of our mid-prefrontal cortex. These are vital functions that keep us integrated and connected, and that we need in order to respond intelligently and creatively to our environment. NOTE: If interested, you can find a brief description of each of these nine functions here. When we're “flipping our lid,” when we're caught in anger and fear and resistance, we lose access to pretty much all of these functions! And while that may be okay when we're trying to run from a tiger, it is not okay when we're trying to navigate a world of increasingly complex and dangerous challenges. So here’s the situation as it relates to difficult conversations. First, our ‘story self’ is the product of our experiences. Second, our brain doesn’t differentiate between threats to our ‘story self’ and threats to our physical self. And third, threats to our ‘story self’ trigger the amygdala hijack, leaving us (metaphorically) with about half a brain.No wonder difficult conversations are difficult! When we're under the influence of an Amygdala Hijack, our task is to reconnect our brain. And the way we do that is to reconnect the relationship. It’s in the process of resolving the relationship that we regain access to our whole brain, our full capacities. Isn't that fascinating? It's actually in our own interest to resolve the conflict because we need each other to think properly! It feels good to resolve because we’re not only healing the relationship, we’re healing ourselves. 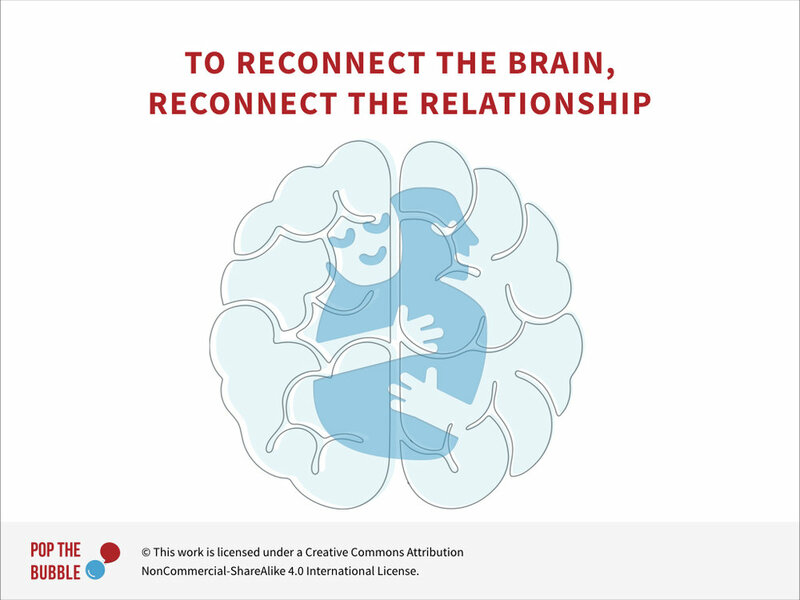 Dr. Dan Siegel puts in this way: "Interpersonal integration cultivates neural integration." Or: Interpersonal integration stimulates the activity and growth of fibers in the brain that are integrative. When we resolve our relationships we become more whole. Or again, as Dr. Siegel puts it: “The more unified you are, the more beingness you have.” In the process of resolving, we’re giving ourselves a richer set of neural patterns. Something we’ll talk more about later. But achieving this unification, with each other and ourselves, requires that we stay inside the pressure cooker of relationship and work things out. It means we set aside, for the moment, our position, and instead focus on the person. Rather than trying convince, we need to connect. Only once we've reconnected is it fruitful to resume the dialogue. Thanks everyone for your contributions. Here are a few techniques that I've come across. The first step is to calm down. Someone recently shared this three-step process with me, known by the acronym PBS. And finally, smile. Research shows smiling has huge personal and interpersonal benefits. It activates the release of neuropeptides that help fight off stress (neuropeptides are tiny molecules that allow neurons to communicate); it releases the feel-good neurotransmitters: dopamine, endorphins and serotonin. These relax your body, lower your heart rate and blood pressure, and lift your mood. Smiling also impacts the people around you. Seeing a smiling face activates our orbito-frontal cortex, the brain region that processes sensory rewards. When you view a person smiling, you actually feel rewarded! And finally, smiling is contagious. In another study, subjects were asked to frown when presented with a smiling face. Instead, the subject’s facial expressions went directly to imitation of what they saw — and so rather than frown, they smiled. Only with effort could they turn that smile upside-down. So when you smile, you not only get a party going on in your brain, your smile makes other’s smile, and they get a party in their brain too! I used to use this strategy with my kids when they were young. If we were having an argument about something and it would get heated, I had a habit of smiling, which forced them to smile, and it broke the tension. So this works! Find something in the other's perspective you can agree with. Being agreed with, apparently, stimulates the reward centers of our brain, releasing oxytocin, also known as the "love hormone." We'll talk more about that later. Related to this is what’s called “looping for understanding.” So often we assume we understood what another said, but as we’ll see later on, we have so may filters through which we interpret the world, most of time we get it wrong. Looping for understanding means I keep feeding back what I think you said until I get it right. It doesn’t mean you have to agree with the person. The point is simply to understand. Understand another's story, and the negative emotions dissolve. Whatever it was that seemed to trigger the emotion suddenly evaporates, because you're able to see beyond the person's actions or beliefs, into what deeply motivates them. 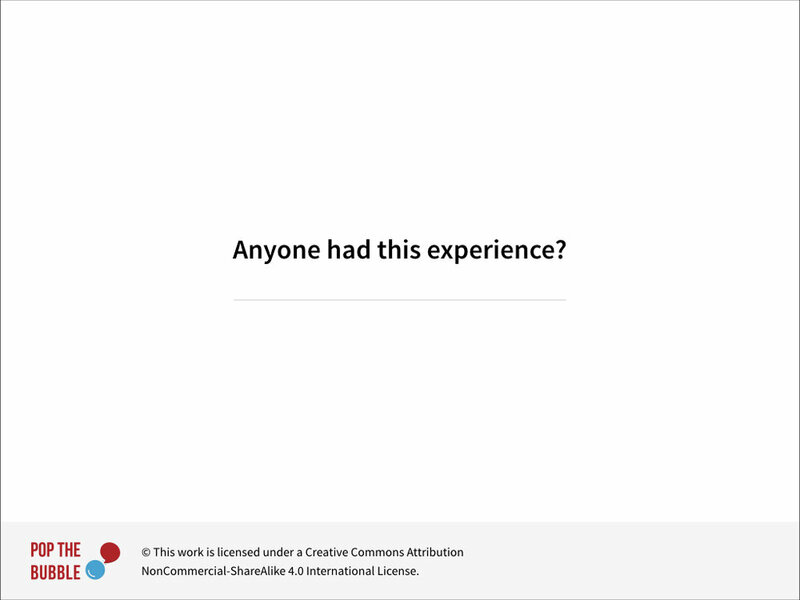 And that's a powerful experience. Let me give you a personal example. When my son was young, he was going through a program to earn his back belt. Most of the people in the program were young, except for one middle-aged man. I’d watch this man practice and noticed that he took his training seriously. Too seriously, in my opinion. His level of fervor exceeded what seemed normal and I found myself judging him. He needed to relax, I thought, to chill out and gain some perspective. He seemed nice enough, but in terms of ever becoming friends, this behavior was, for me, a deal breaker. Behind every action, every belief of “the other” is just such a story. It may take awhile to get there, beyond the "surface" story to the deep story, the deep "why" behind the behavior. We know we've gotten there when the story is not just that person's story, but our story, the story we can all relate to, the story of our common humanity. That’s where we find true common ground. That’s where we find the relationship that can never stay broken for long. We're going to have an experience of the power of story in just a few minutes. But first, let's take another short break.